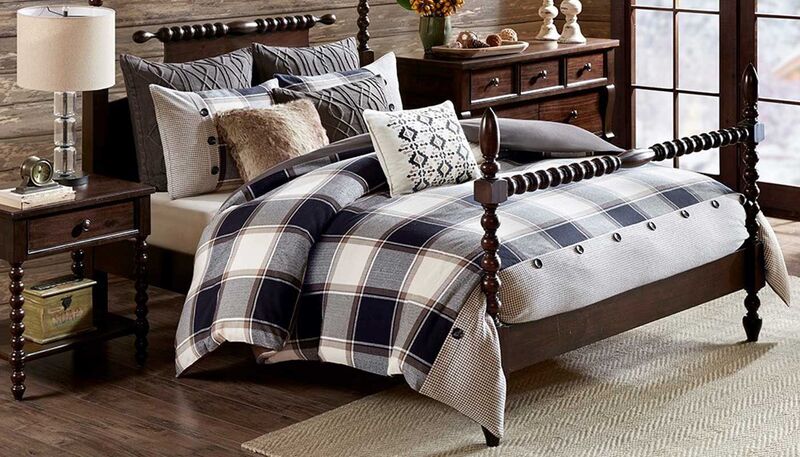 Create a cozy look in your bedroom with the Madison Park Signature Urban Cabin 8 Piece Comforter Set. Featuring a plaid design in shades of brown and black, this oversized and overfilled comforter is made from 100% cotton jacquard for incredible softness and comfort. The patterned near the bottom of the comforter with button details adds a charming touch to comforter. Matching shams mirror the style of the comforter creating a coordinated look, while two knitted Euro shams add dimension and texture to the cabin style bedding set. Three unique decorative pillows: a knitted one, an ikat embroidered one, and another one with luxurious faux fur provide the finishing touches to this warm and cozy comforter set. 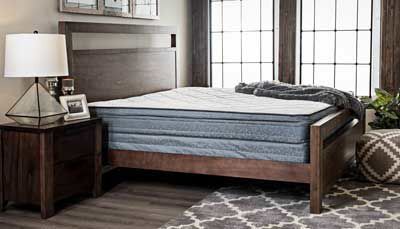 The comforter comes with a removable insert and decorative buttons for a secure fastening.